a good human being, the kind of person who endears himself to others. Check out a photo of his hands here, and here. The photograph above is a free photo. It is said that he aggressive and ambitious, but oddly enough these personality characteristics are shown as subdued in this hand. They are present, but in moderation and in a healthy proportion, and are not what define him. This means that Virat Kohli the human being is not the aggressive, ambitious ‘A’ type personality that he may appear to be. It is a positive indication in my opinion, as he would not rub people the wrong way due to a bombastic approach. His hand shows humility, a good trait for a leader to possess. What is not so good is that his Jupiter (index) finger is a little weak, but taking into account his other characteristics, it does not make him a weak leader, certainly not in the context of his profession. It just means he is a sensitive, humble person, without ego, and willing to accept his mistakes. Along with his talent and determination, it does show that he will want to grow and improve himself. If he were not talented, then these personality characteristics become a hindrance. But cricket captains are where they are because of their sheer talent and thus they do not need a forceful or aggressive disposition to command respect. 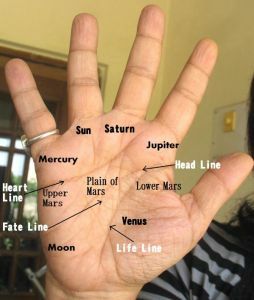 The vulnerability in his nature shown by the Jupiter finger and the average or below average Upper Mars, can be countered by outside support in some manner. Whether it is in the form of a person or guru, or an idea. This will increase his self-belief. 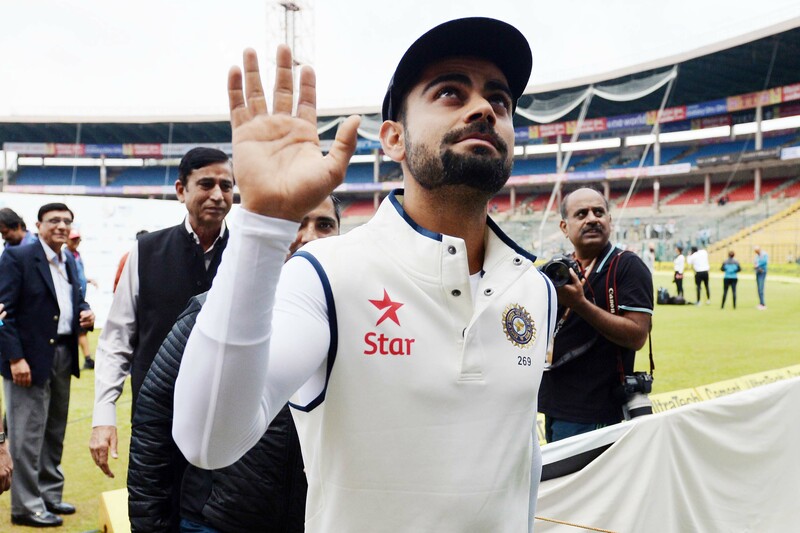 Kohli’s hand also shows a kind of flair in the personality, a kind of dramatic style, and this will conceal the insecurity. (Virat Kohli is an Indian international cricketer who currently captains the India national team). Read about other famous Indian cricketers: Rahul Dravid or Saurav Ganguly's hands reveal the secret of his success or Sachin Tendulkar's hands tell us who he is or about Sreeshanth's folly. Or read about Shane Warne or Pakistan's Imran Khan, or check out all posts filed under the label Cricket. Dhanu, I said he is not aggressive, so I don't get what you mean. I did not write that he is aggressive. If you are looking for an in-depth analysis, I need to have high resolution photos of his hand. Reading the hand from the shape of the hand and fingers (not lines) gives a general idea only. Hello, dear Nita! Thank you for you blog! It helps a lot. Few days ago, very famous musician, Chester Bennington commited suicide, hundreds of millions of people are shocked. Thanks George. I will check it out. Dear mam , I also want my hand to be read .